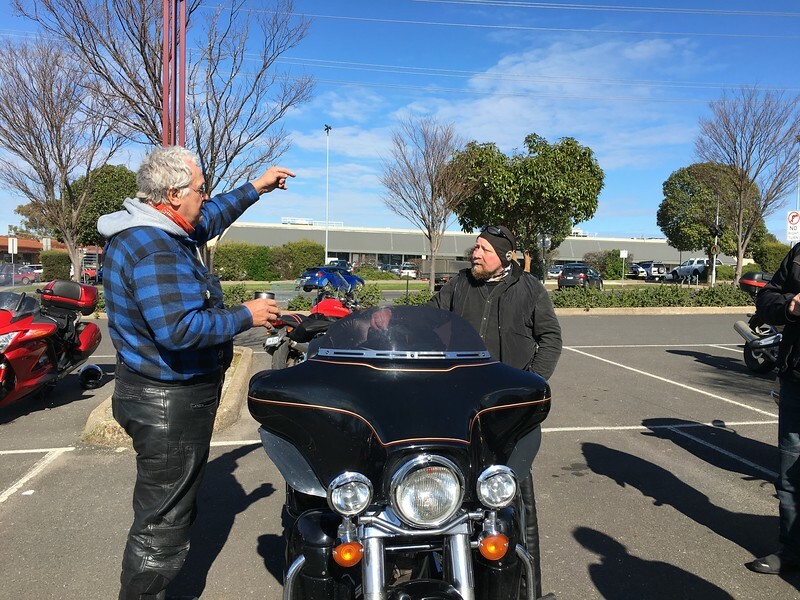 We had a near perfect winter’s day for today’s ‘mystery ride’ led by Mac MacB. 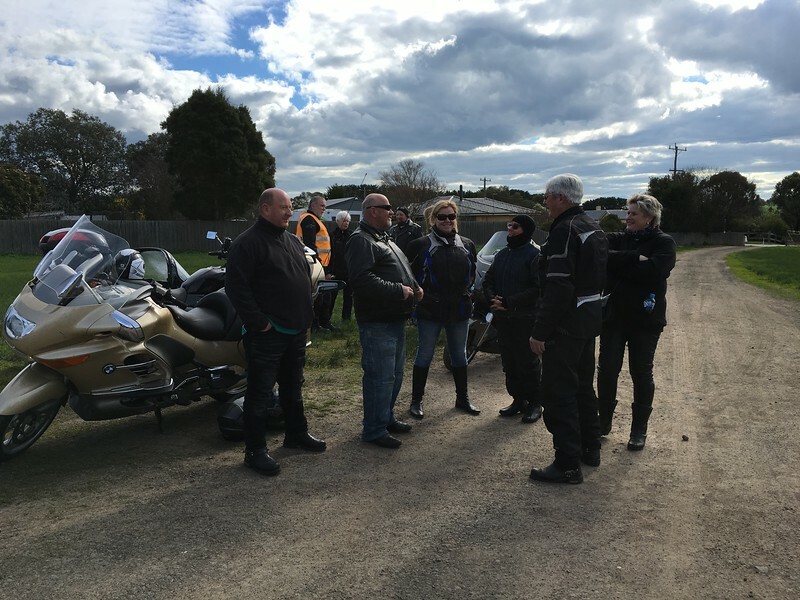 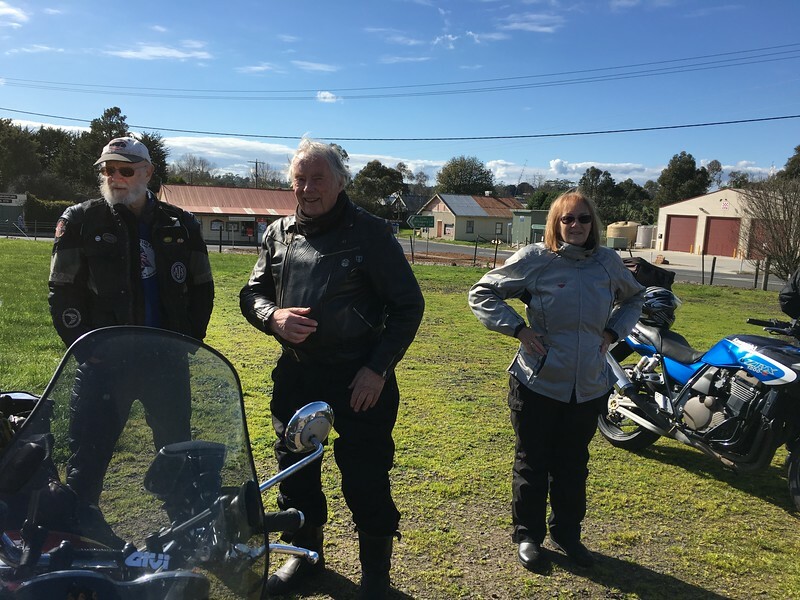 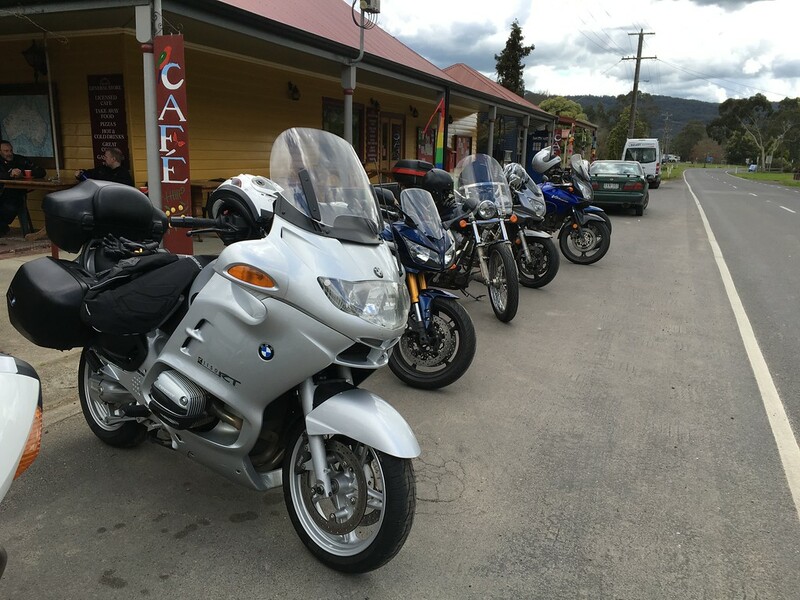 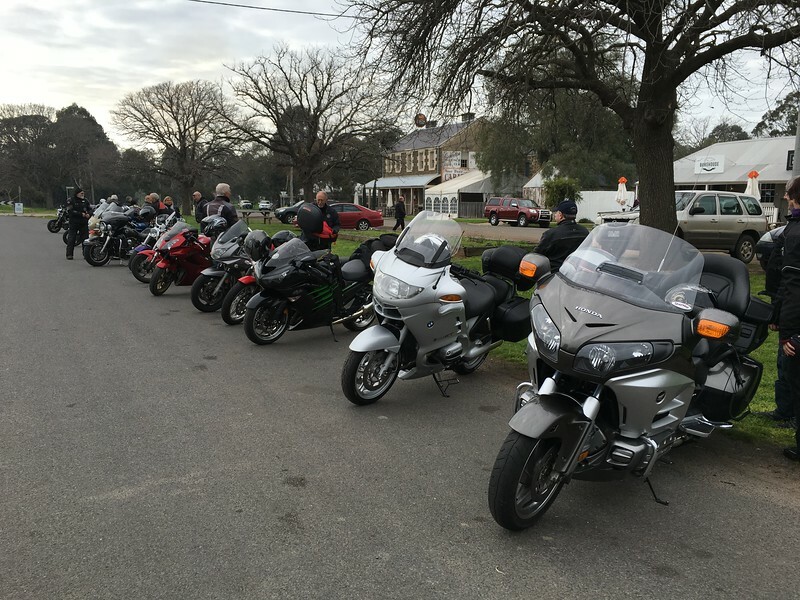 There were 20 motorcycles with 26 people (and one canine) aboard for the run out through Ceres and up to the Inverleigh Bakery for morning tea and then on to Colac for lunch, via the Cressy Road, Eurak Road and Ballarat-Colac Road. 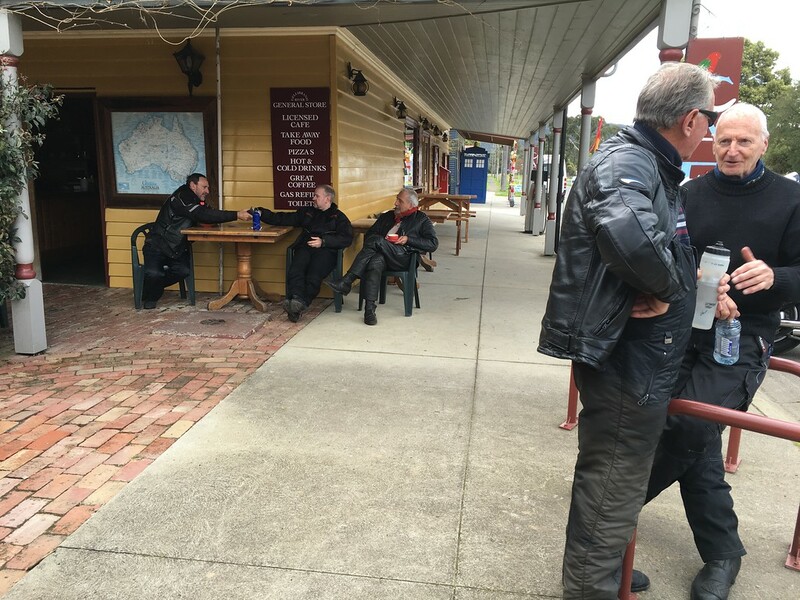 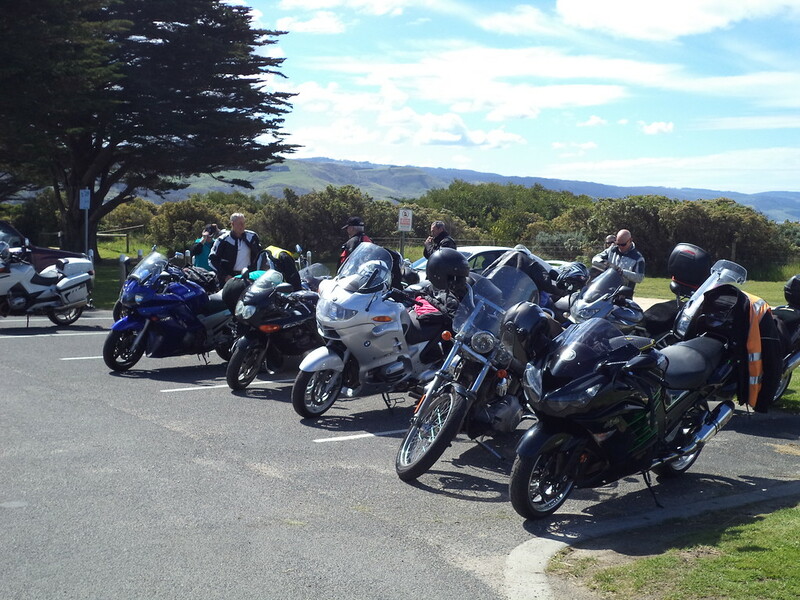 From Colac it was a quick run out to Deans Marsh for another stop and then on to Moriac where the ride finished. 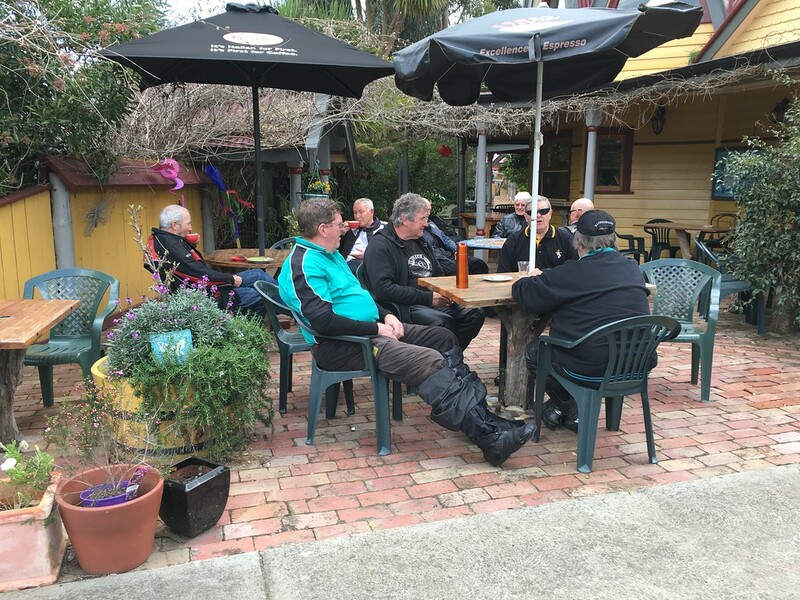 It was planned as a low kilometer day, with lengthy breaks and plenty of time to chat as the order of the day. 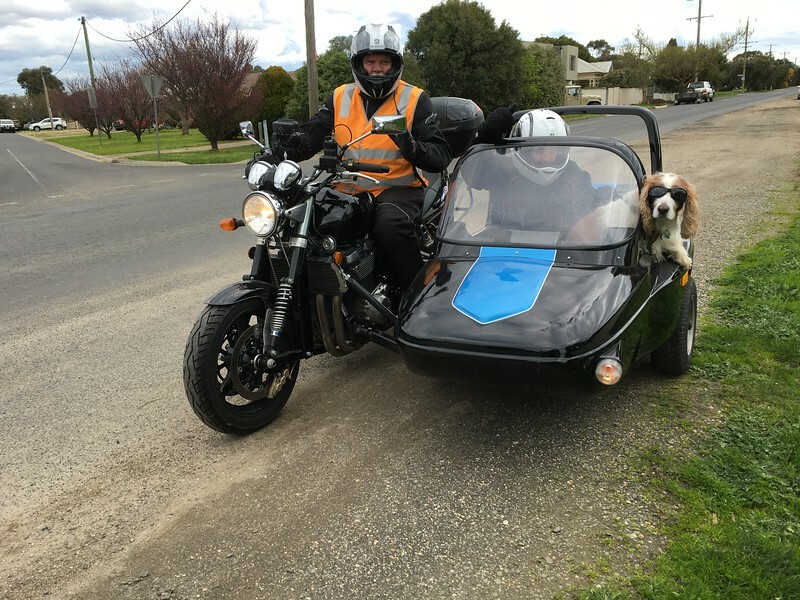 Well done to Mac for an enjoyable route and thanks to the sidecar trio of John, Lauri and Storm for Tail-End-Charlie duties. 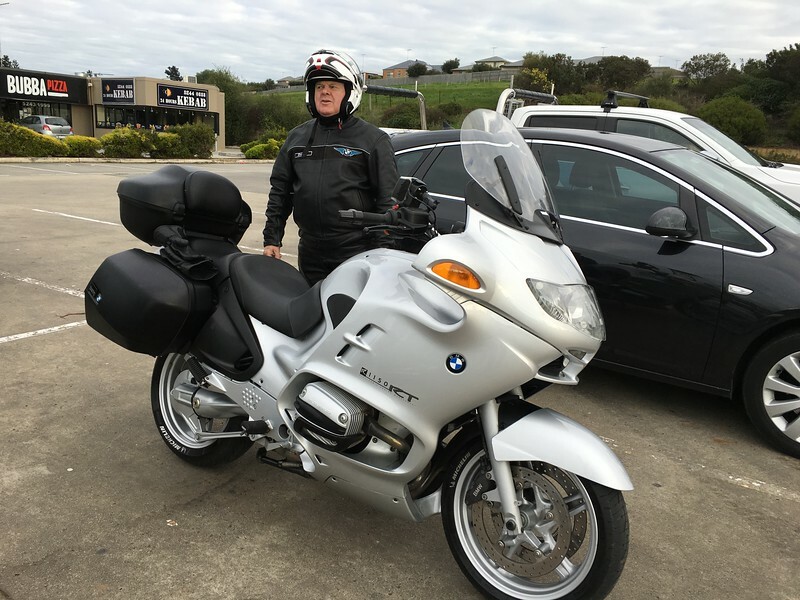 Greg’s ‘new-to him’ mint condition Beemer. 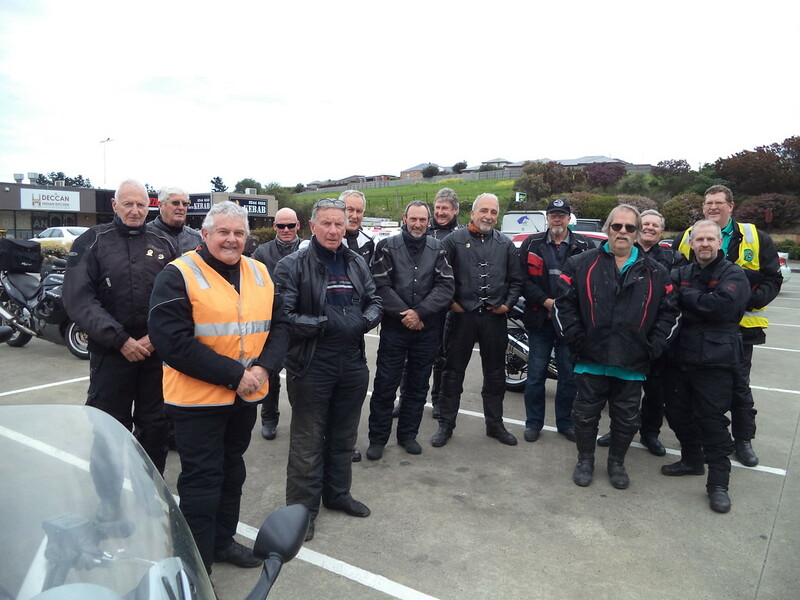 Tough job to pick the brothers in this shot!